The moment to pass your US History or Global History and Geography exam has come, so now you are worried whether you will pass it successfully, aren’t you? There are many things on your way that make you uneasy, but you know that you can overcome your fears. Writing a thematic essay is a real challenge since you should be very precise, punctual and keep calm at all time. The following tips will give you some information about how to write a thematic essay. Still, do not rely only on them or on someone else’s advice, you should have the skills and competence to write the essay successfully. “Successfully” here means to meet the required criteria and get the grade you aspire to. You should attend your classes and ask questions any time you do not understand a given fact, data, etc. If you want to get excellent grades it is inevitable to read some additional literature and/or watch documentaries. Another important stage of preparation is to get yourself acquainted with the format of the exam, its requirements, duration and assessment principles. You should do it long before the exam takes place. If you have the possibility, try to “take” the exam at home. There are a lot of learning materials (books and CDs) that you can use. You should not become nervous during the exam. It is important to stay calm all the time. Read your tasks and reflect on them. It is possible to become confused while reading your tasks; hence, it is recommended to write down what is required from you and then answer in short (in the outline, for instance). The theme of the essay should be clear for you. Usually, it can be found in one important term (“beliefs”, “values”, “tolerance”, “development”, and so on). Then pay heed to each task separately. Advice: many ideas can come to your mind while writing. You will not have time for all so think carefully before starting to write. Address the topic and tasks in such a way that you will have time to accomplish your assignment. Your thematic essay outline will include only some important points about the given concept, process, phenomenon, etc. Writing the outline should not take you more than five minutes. Your thematic essay should follow the outline strictly as to observe the internal coherence and logical connections of the text. Your thematic essay should follow the outline strictly as to observe the internal coherence and logical connections of the text. This is what is required from you. Keep in mind though that the questions will provoke many thoughts in you. It is important to form an idea about the central thesis of the thematic essay from the very beginning. If you have comprehensive knowledge in the field, you will feel confused for a while. You can take either one way or another; still, you should decide on which way to take, what thesis to defend. The tasks do not require absolutely precise answers but rather reflections and ability to transform abstract concepts into particular realities (through referring to specific events or personalities, for example). Writing a thematic essay alone does not differ too much from a five-paragraph essay. You need to have your intro, substantial part of the essay, and conclusion. Stick to the outline which you have prepared. 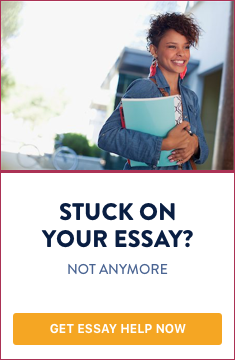 Having written the essay, revise it (if you have enough time, of course). As you see from the tips given above, you need to combine comprehensive knowledge with ability to comprehend the tasks given, and with an ability to transform the abstract into particular. The key to success is preparation so do not leave everything for the last moment.